What do you do when the marathon isn't enough? How about combining it with a half marathon the day before or the day after? 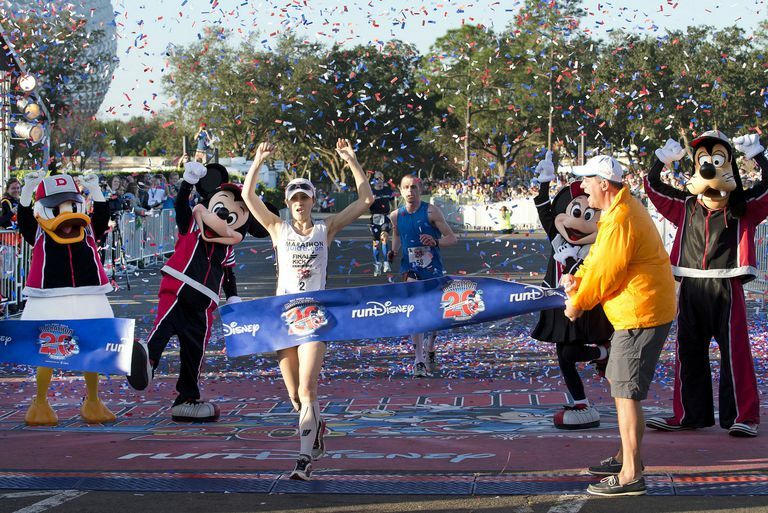 The Walt Disney World Marathon has two challenges that have that requirement. These are open to runners and to walkers who can meet the pace requirements for all races of 16 minute miles or faster. It is held in January at Disney World, Florida. The Goofy Challenge involves finishing the Walt Disney World Half Marathon on Saturday, followed by the Walt Disney World Marathon on Sunday. The Dopey Challenge ramps you up with the Walt Disney World 5K on Thursday and the 10K on Friday before the half marathon and marathon on Saturday and Sunday. The Avon 39 Walks to End Breast Cancer also had this format, but this walk series ended after the 2017 events. This training schedule will help prepare you for those challenges. It is suitable for runners, walkers and run/walkers. You can swap walking the longer distance either the first or second day of your back-to-back long distance days. Before you start this schedule, you must be able to meet these minimum requirements. If you aren't yet able to do this minimum amount, work on building your capability before you start this schedule. Use the base mileage building schedule to get up to the minimum. Able to walk or run comfortably for 8 miles on your long day and for 4 miles 3 days a week. Able to commit to one long day per week, from 2 - 6 hours. You may vary the exact days of the week to meet your schedule, especially switching around Saturday and Sunday, as long as you keep the two long days back-to-back. Monday, Wednesday, Friday: These are days off, although if you walk for health you can do your usual strolls. You should use them for cross training such as bicycling, strength training and abdominal exercises. Saturday: Mileage building day. This long day is essential - and you should try to run or walk the entire distance with only short breaks. Sunday: Moderate distance day. This also will show you the effects on your muscles and feet on running or walking longer distances on back-to-back days. You can swap Saturday and Sunday mileage, especially if you are doing the Goofy/Dopey, but doing them in this order is best for avoiding injury during training. Marathon Training from Start to Finish: Full advice on every aspect of training to walk a marathon.